The Commonwealth Government’s tougher Age Pension assets test, to take effect from 1 January next year, is projected to reduce the future retirement incomes of most Australians currently of working age. Indeed, the changes will see fewer Australians achieving a comfortable retirement. The key change is the accelerated rate at which eligibility for government pension payments will phase out for those with assets above minimum thresholds. While the government is raising the minimum thresholds, the net effect is a reduction in the proportion of people, especially couples, projected to achieve a comfortable retirement. The projections are based on joint work with specialists at Willis Towers Watson using a variant of Willis Towers Watson’s retirement income forecasting model initially developed for the ASIC MoneySmart website. We apply the forecasting model to data from the Melbourne Institute’s Household, Income and Labour Dynamics in Australia (HILDA) Survey, which contains information on superannuation and other savings of a representative sample of the Australian population. 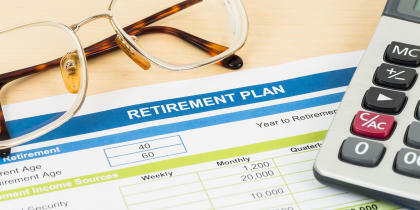 This allows us to project the future retirement incomes of Australians who are not yet retired. We then asked how these retirement incomes compare with benchmarks developed by the Association of Superannuation Funds of Australia (ASFA), which are widely used in Australia. These benchmarks are estimates of the amounts of money necessary to achieve a “comfortable” standard of living in retirement, which currently sit at $58,128 per annum for couples and $42,433 for singles. Our analysis also allows us to examine policy changes such the changes to the assets test. In the period between 2010 and 2014, we witnessed relatively strong investment returns as well as real increases in Age Pension rates. Consequently, absent the changes to the Age Pension assets test, the percentage of couples projected to be on track to achieve the “comfortable” retirement income level increased from 53 per cent in 2010 to 62 per cent in 2014. The increase would have been even greater for singles, rising from 23 per cent in 2010 to 38 per cent in 2014. However, the changes to the Age Pension assets test alter the picture significantly. The changes mean that eligibility for partial Age Pension payments ceases at lower amounts than previously. For example, eligibility for a partial pension for home-owner couples will, as of 1 January next year, require non-home assets of $814,250 or less, compared with $1,175,000 under the existing rules. These changes are projected to completely undo the gains made by couples between 2010 and 2014. 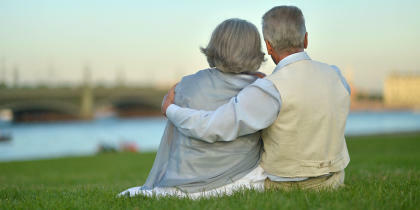 Under the new rules, only 51 per cent of couples will be on track to be able to retire comfortably. For singles, the changes to the assets test have almost no effect, with 37 per cent, rather than 38 per cent, projected to achieve a comfortable living standard in retirement. Important, and perhaps not well understood, is that the changes in Age Pension rules adversely affect a large part of the population. Total Age Pension payments in retirement are expected to be reduced for most couples, with the average couple experiencing a 29 per cent decline. This translates to an average annual reduction in pension payments in excess of $6,000. Negative effects of the rule changes on projected retirement incomes are also evident for many singles, but effects are generally smaller in magnitude because of their comparatively low asset holdings. The widespread impact of the Age Pension changes on projected retirement incomes reflects the importance of the Age Pension to retirement incomes, even for people with substantial superannuation holdings at the point of retirement. Importantly, the changes to come into effect on January 1 are unlikely to be the last move to reduce the Government’s Age Pension bill, and Australians currently of working age would be wise to factor this into their retirement planning. Indeed, our results demonstrate the broader point that, while market risk is real and important, households are exposed to another risk that is potentially more significant, but often ignored – the risk of adverse government policy changes. This in turn has implications for governments contemplating further changes to the system. While fiscal pressures and distributional (equity) considerations are valid reasons to modify retirement income policy parameters, the Government also needs to have regard for the adverse effects of such changes on households’ retirement planning and on their confidence in the retirement income system. Australia, the land of the fair go, isn’t looking so fair with a widening divide between rich and poor and old and young. What’s to be done?